Hello, readers! I'm back this morning in your inboxes while Dan eats a much deserved breakfast after driving from NYC to Boston bright and early. Reminder: You can send me tips and scoops at kia@axios or on Twitter at @imkialikethecar—even when I'm not writing this newsletter myself! SV Angel as we know it is no more, the Silicon Valley firm said yesterday. 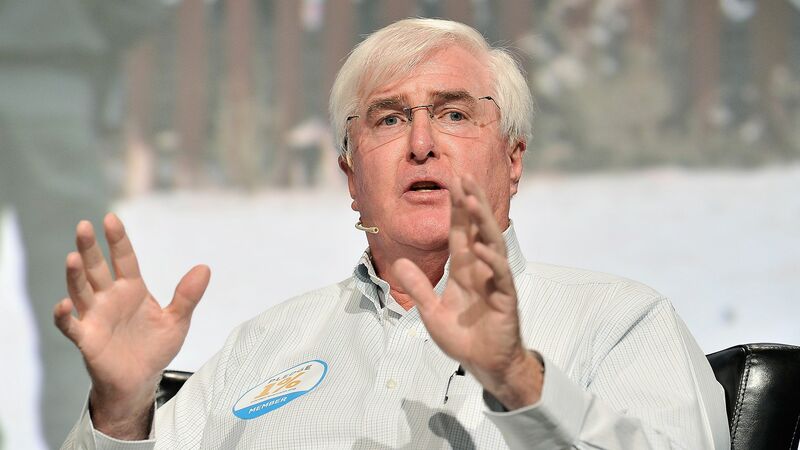 In short, Ron Conway and his son Topher will return to making angel investments with their own money under the SV Angel brand, and will no longer raise funds with outside investors. This also means that the rest of the partners will depart, though they’ll continue to be advisers to the existing portfolio. In a blog post, the firm attributed its decision to the changing seed investing climate, namely the ballooning size of seed rounds. And that’s true: The median U.S. seed deal in 2017 was $1.7 million, up from $1.47 million in 2016 and $1 million in 2015, according to Pitchbook. In 2018’s Q1, it reached $2.2 million. • Breaking sports betting news: Following a recent Supreme Court decision, DraftKings and Resorts Casino will sign a deal today to offer sports betting in New Jersey, the companies told the AP. • Chip chat: China’s markets regulator said on Friday that it’s still reviewing Qualcomm’s proposed $44 billion acquisition of NXP Semiconductors, according to Reuters. • Fund scoop: Meritech Capital Partners tells Axios that it has closed its sixth fund with $630 million, and that co-founding partner Mike Gordon is retiring. This is a slight increase from the $565 million Meritech raised for its last fund, but the firm isn't looking to compete with the SoftBank or crossover crowd. "We're still late-stage investors, but that's now different from pre-IPO. For Meritech that means Series C or D rounds, $50 million or so and probably around three years away from an IPO." • Un-social network: Facebook held its annual shareholder meeting yesterday, and aside from the totally predictable outcomes (all board members elected, all shareholder proposals rejected), it was an unusual event. Shareholders voice their frustrations with the company’s leadership, including a tense back-and-forth at one point, pointed questions about the company’s plans to house its employees, and one even comparing its handling of user privacy as a human rights violation. Bloomberg and USA Today have good overviews of the affair. Cheddar, the upstart financial news network for millennials, has acquired MTV Networks on Campus from Viacom. Terms of the deal were not disclosed, but Cheddar said it will stream content from its flagship business news channels, as well as as original content for college students sponsored by Pandora and Chegg. Why it’s the BFD: The media company, led by former BuzzFeed exec Jon Steinberg, has been making daring bets on millennials' content consumption trends. • CyberInt, an Israel-based cybersecurity company, has raised $18 million in new funding led by Viola Growth, with existing investors also participating. • Fitch Group has agreed to buy Fulcrum Financial Data, a New York and London-based provider of leveraged finance and distressed debt analysis and news data, from Leeds Equity Partners. Here are the U.S. monthly jobs numbers for May, with unemployment being down to 3.8% and beating expectations. More here.